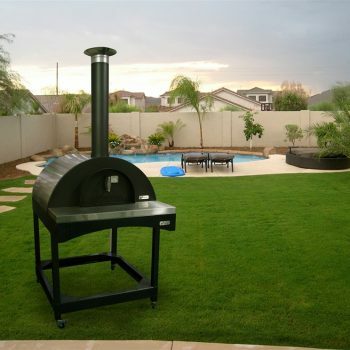 WHEN ONE PIZZA ISN'T ENOUGH. 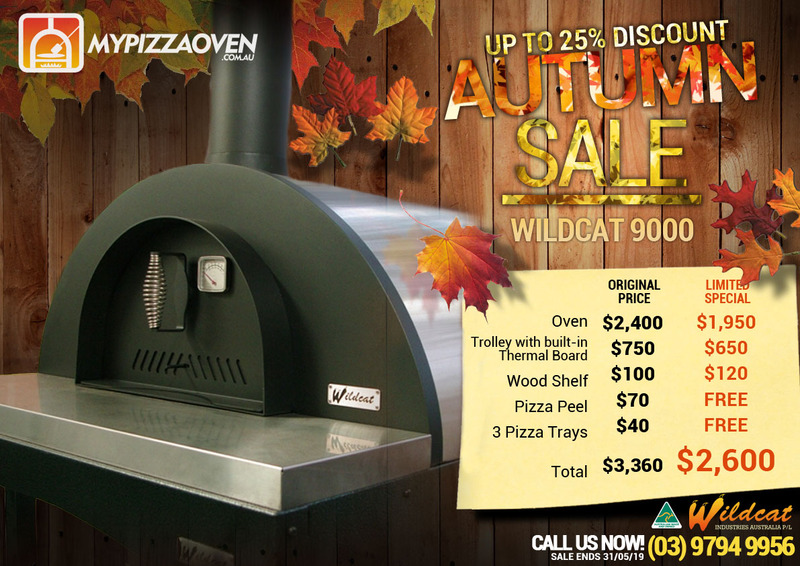 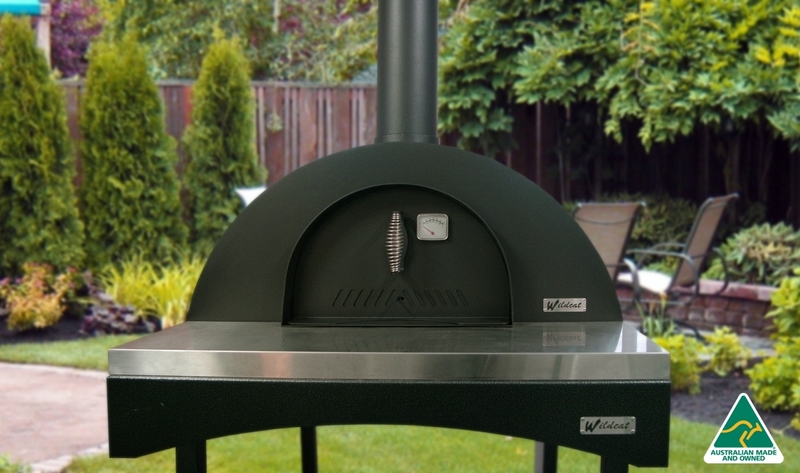 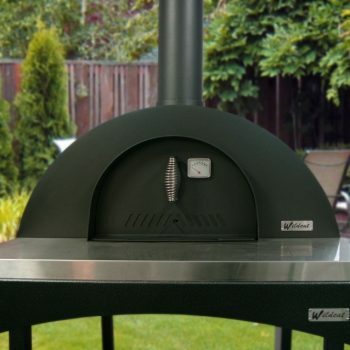 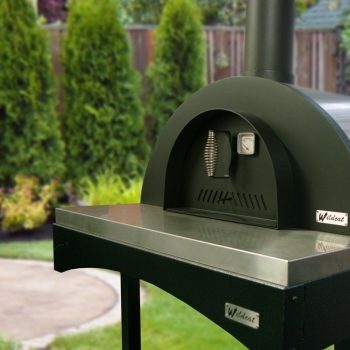 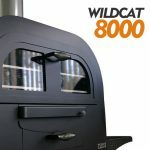 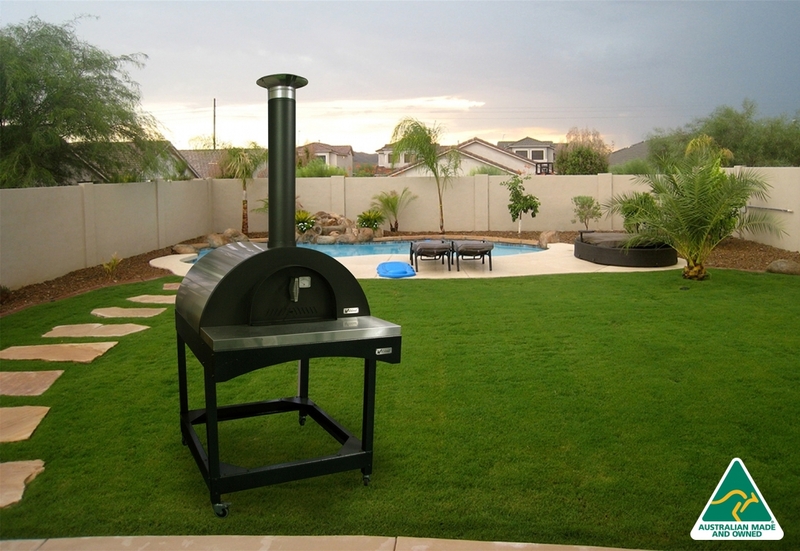 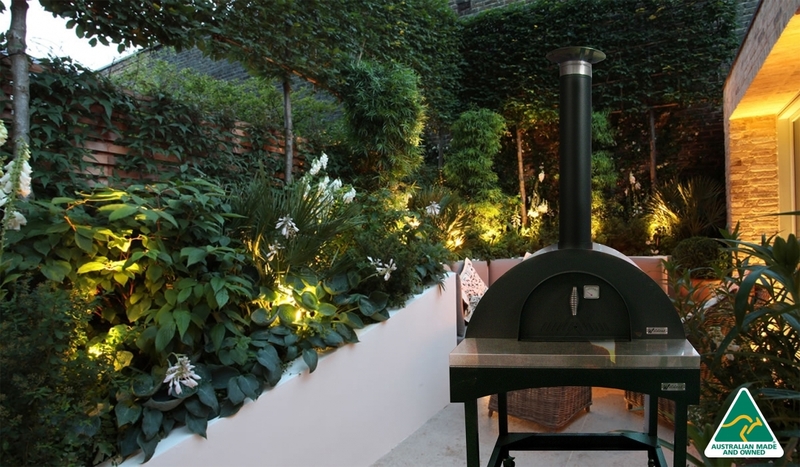 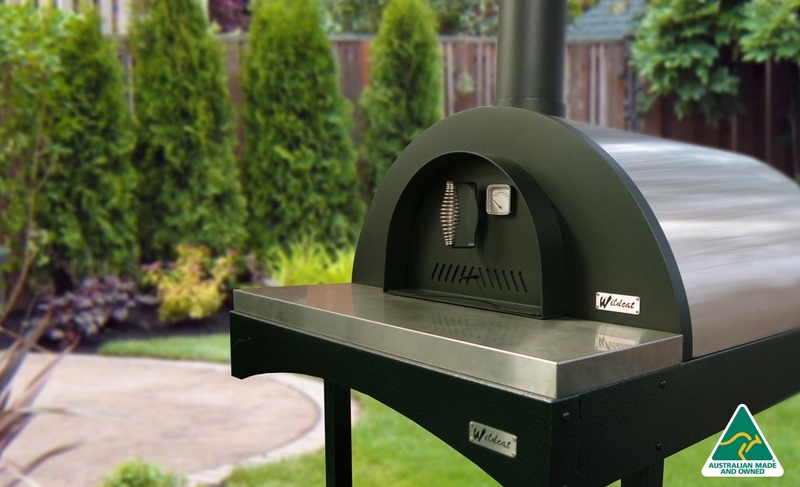 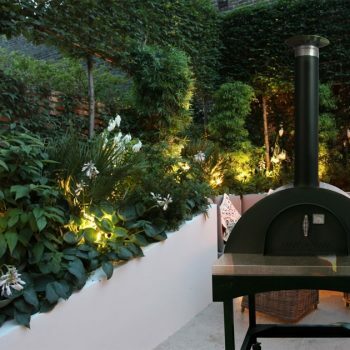 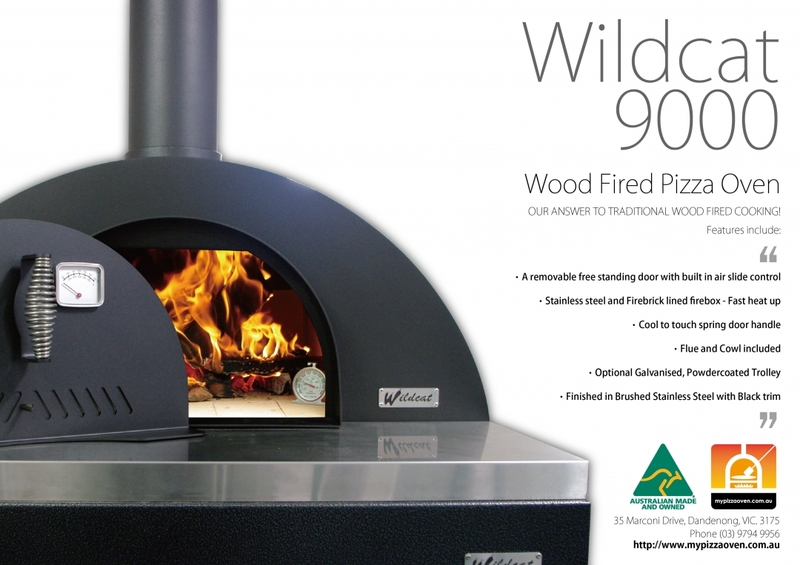 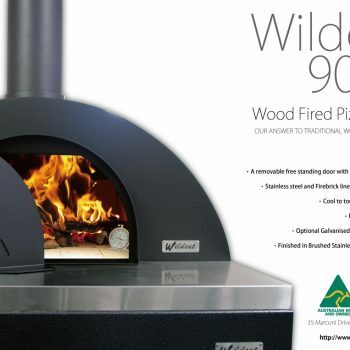 The Wildcat 9000 wood fired oven is a more traditional style, based on the firebrick lined clay oven, where the fire is lit within the oven and pushed to the back, but with all the features and benefits of today’s modern and attractive steel and stainless steel construction. 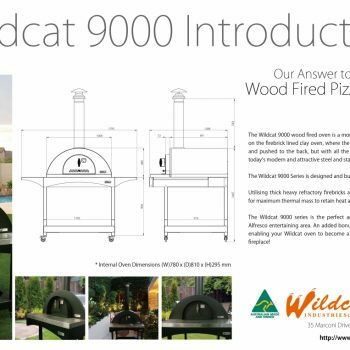 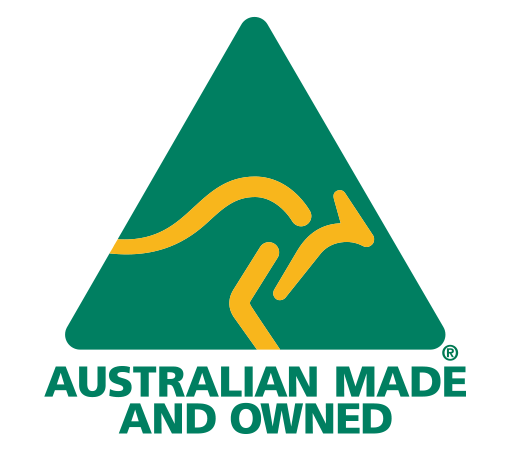 The Wildcat 9000 Series is designed and built in Australia, utilising thick heavy refractory firebricks and ceramic fibre blanket for maximum thermal mass to retain heat and insulate the oven. 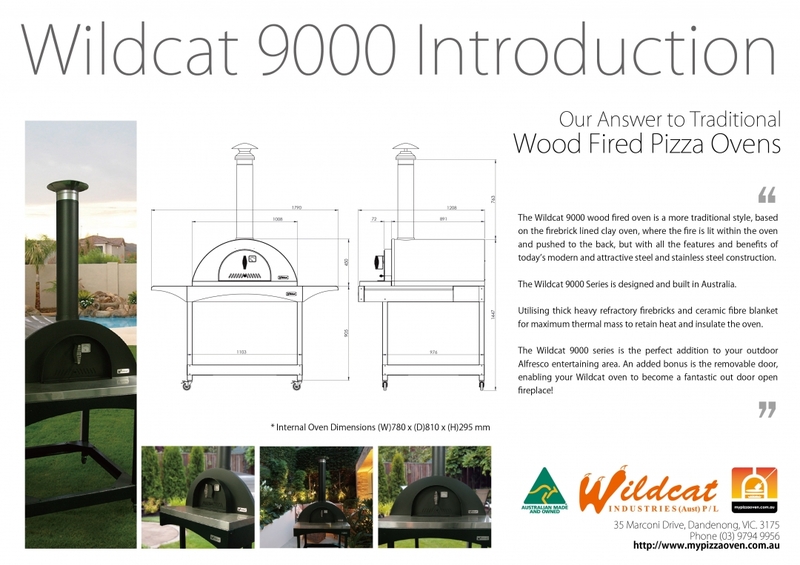 The Wildcat 9000 series is the perfect addition to your outdoor Alfresco entertaining area.